Just in case you don’t know, your newsletter content is the key to your cash! 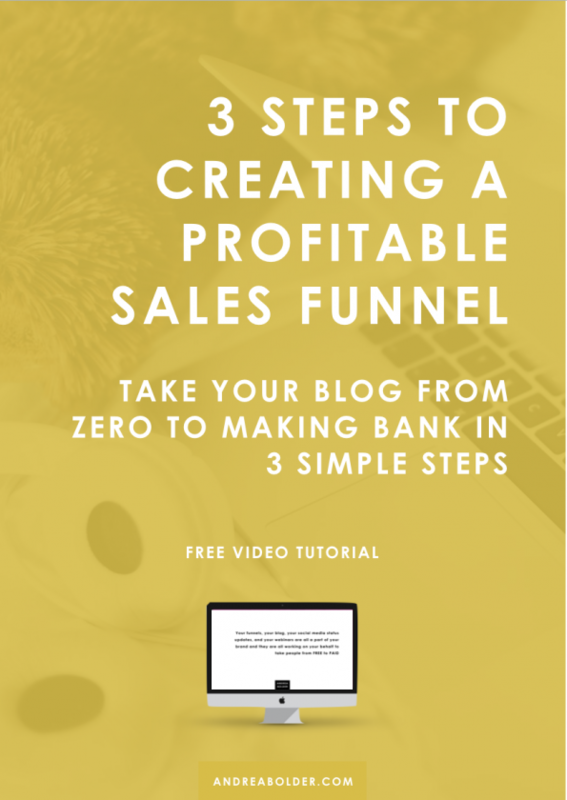 Email marketing, nurturing your email list, and engaging your email list in the right ways, can be the difference between a ZERO dollar blog and a 6-figure blog. I know that one of the biggest struggles is not necessarily whether or not to send emails (even newbie bloggers know they need to be connecting with their list in some way), but WHAT type of content they should be sending in those emails that will make them stand out. Well lucky for you, I’ve come up with 51 of The Best Newsletter Content Ideas that will keep your email list active and your subscribers engaged! ARE YOU GIVING YOUR LIST THE LOVE IT NEEDS? 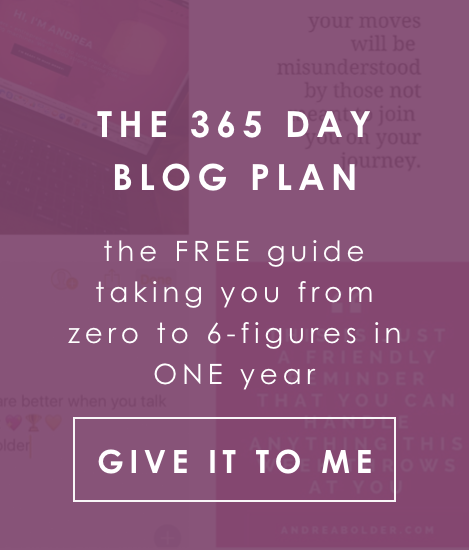 A lot of bloggers believe that if they just get enough people to their blog and throw up enough opt-in forms that their email list will grow. But here’s the problem. The internet is a noisy place and the competition is thick. Getting people ON your list is the easy part. The hardest thing for an online entrepreneur is keeping the attention of your subscribers once they’ve joined your community. Newsletters are often an after-thought. It’s the thing you think about doing when you “have time” or when you have “something to sell”, but your newsletter should be a top priority as it has the ability to expand your influence, increase your engagement, and boost your community. You don’t want a boring newsletter that adds no value to your subscribers. You want a newsletter that is going to inform, entertain, empower and engage your subscribers in a way that makes them want to stick around. So if you are collecting email addresses but are stuck when it comes to holding on to them, this blog post is going to be a game changer for you. I’ve even made it easy and separated the newsletter content ideas by niche and interest. If you are a blogger that helps other bloggers and online entrepreneurs build successful businesses online, here are some newsletter content ideas your subscribers will actually want to read. Share success stories and testimonials from real customers: Your customers are your most promising ambassadors. It’s a good look to share success stories with the rest of your audience. Not only do you get to show that what you teach works, your customer gets exposure and encouragement, and your readers get inspired by someone else’s achievements. It’s a win-win-win type of situation!! Create a how-to checklist for growing a successful blog: If you are having success as a blogger, you better believe that people are going to want to know what it is that you are doing that’s allowed you to see so much success. Give your audience a checklist of how you create your blog posts, what you include, how you structure them and what you do after you hit publish! Branding your blog: Building a stand out brand can be hard for bloggers especially if they do not believe they are “creative” enough. So why not give them some brand building tips that helped you create a brand you love. Create a mini-course or series of tools, tips, & techniques you use: There are thousands of tools and techniques out there for growing a profitable blog. Share the tried and tested tools you use and the strategies of how you use them to help your subscribers cut through the clutter. And make sure you add your affiliate links! Interview other bloggers in your niche: Whether it’s a podcast or a Youtube video, leverage the expertise of others and share it with your audience. It’s always a great way to mix things up and give your subscribers a fresh, new perspective and voice they can listen to. Newsletter on social media growth techniques & tips for each platform: Obviously social media is huge and some platforms are harder to crack than others. Whether you are seeing phenomenal success on social media or falling short on some platforms, sharing your results and what you’ve tried (good and bad) can be extremely beneficial to your audience. Printable checklist for blog tax preparation and money management tips: So the one thing you rarely see bloggers talking about is taxes. But if you are building a legitimate business and teaching your community to do the same, you want to talk about all the aspects that go into becoming a successful entrepreneur. Knowing what to do with your money after you make it is important too. So don’t be afraid to share tax tips, wealth building tips, and other money-management strategies. Tips for generating income through blogging: So speaking of making money…you will find that your audience may be looking for other sources of income. If you have found additional ways to make money that would resonate with your community, share them. These tips could be making money with your blog, app development, affiliate income or other income sources that can supplement their blog income. Invite your subscribers to join your community: The support doesn’t have to end in your subscriber’s email inbox. Give them the opportunity to engage with you outside of email by inviting them to join your online community or forum. It’s also a great way for them to connect with other like-minded members of your community. 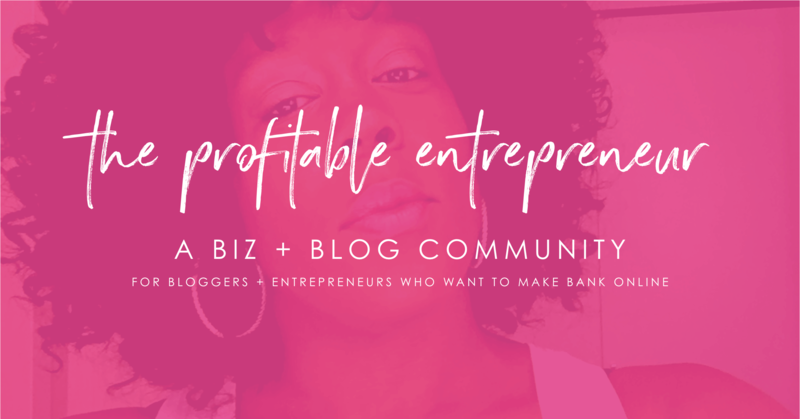 Looking for a community of bloggers and online entrepreneurs who want to turn their blogs into a profitable business? Join us in The Profitable Entrepreneur Facebook Group. Weekly or monthly meal plans: Want to make it easier for your subscribers to prep their meals? Why not share how you meal prep for the week and what’s in your grocery bag! A healthy eating challenge: Everyone loves a good food challenge especially when you’re trying to eat right. Share daily tips for an X-number of days to help your community get their healthy food groove back! Seasonal family favorites and exclusive recipes: Don’t keep those family recipes to yourself. Gather up some of your favorite seasonal or holiday recipes and share them with your subscribers. You can even package it up into a cute little printable they can download and save. List of food staples: Whether you are helping your subscribers organize their pantry, tea drawer or fridge, give them a list of food essentials you think should be stocked at all times! Basic cooking techniques: Ready to share some basic techniques with your community. From food prep to how to use your juicer, you can demonstrate one basic cooking technique in each one of your newsletters. I Love “XYZ” Series: Each month you can share a handful of recipes from your food vault that highlights ONE recipe category. For example, an I Love Dessert Series would consist of 3-5 of your favorite desserts or you can do a month worth of vegan ice cream. Your favorite shops: Gotta a few fashion boutiques or online stores that you love? Share your favorite fashions places and why you love them so much. How to tips: How to start your own fashion blog, how to become a fashion stylist, how to partner with other fashion influencers on Instagram, how to build a fashion brand…these are just a few “How To” ideas for newsletter content. Quarterly Fashion Gift Guide: This is awesome for special occasions like Valentine´s Day, Easter Holiday, and Black Friday. You can also put together gift guides for the hubby, the kids, for mom, etc. Fashion Product Reviews: Have you tried a new piece that has been on your wishlist (like a Chanel bag)? Found a new accessory? or enjoyed a new place to shop? 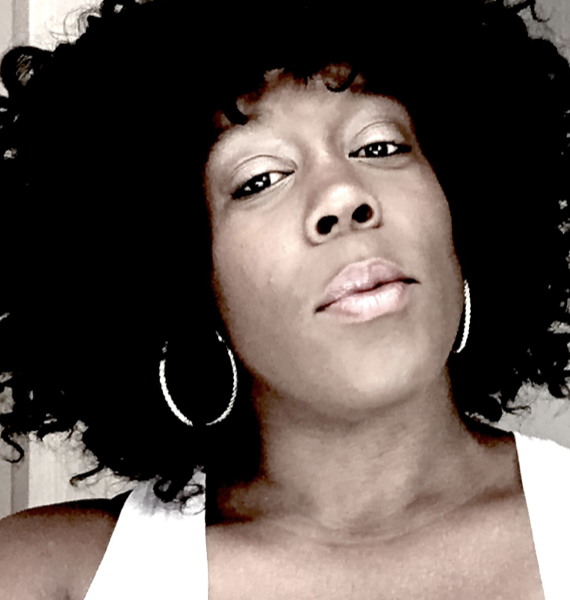 Give a detailed product review of your experience and what you loved about your new splurge. What’s in your Suitcase Newsletter: Create a newsletter that shares what you wore on your latest vaca or give recommendations on what to wear when traveling to different destinations! Blogger Fashion Battler: connect with another fashion blog influencer in your and find a piece you both style differently. Pick and Pair: Pick one key piece from your wardrobe and share creative ways to pair it with different accessories or pieces throughout the week. Favorite Finds: Share this week’s favorite finds of share your favorite trends of the season. Fashion Rules: Got a set of rules you always dress by? How about you share your tips with your subscribers….like how to choose the right leggings for your body type! The Celebrity Fit: Compare or imitate a hot celebrity fashion look and show your subscribers how they can re-create it on a non-celebrity budget! Tips for making the most of nap time: Mom’s lives revolve around their little ones and if you want to get some things done, you have to be productive with the free time you do have. So if you are a mom blogger or a parent who is balancing business and babies, sharing your productivity tips can be very useful to your community. Weekend family fun for moms & kids on a budget: Disneyland every weekend may be out of the question, but that doesn’t mean you can’t come up with creative ways to have fun with the family. From game nights to movies and, playdates to afternoons at the beach, share your favorite budget-friendly family time ideas. I’m sure it will be a hit! Baby/toddler/kid-approved recipes: Have experience dealing with picky eaters? Create a newsletter or a series of newsletters that teach moms how to prepare and present healthy kid-approved meals and snacks. Ideas for mommy me-time: No matter how much we love our kids, we all need a break sometimes. Gather up your best self-care tips for moms who need a little rest and relaxation time. Weekly countdown to getting ready for baby: If you cater to expectant moms, share with them your hospital delivery checklist, baby essentials or top things to do to prepare for baby. You can break it up over a course of a few weeks or even months so that it minimizes the overwhelm and stress that comes with the responsibility of getting ready to add a bundle of joy to the family! Weekly workout: Give your subscribers a weekly work out plan they can follow. You can break the workout up into various categories or muscle groups to help them focus on improving specific areas. Instagram video roundup: A lot of fitness trainers and coaches are building viral brands on Instagram. Invite your community to check out your best Instagram posts of the week. Workout tips: If there is a certain process or routine you have for making sure you have a great workout, put it together in a checklist or share those tips in a newsletter. Spotlight a success story: Has one of your clients lost a ton of weight or overcome a health challenge with your help? Share the before and after pics or a heartfelt testimonial that will inspire and empower your other readers to take action too. Goal-setting workshop: The success of a weight loss or fitness transformation hinges on one’s ability to hit certain milestones and goals. Not only can you share how you set your own fitness goals you can also invite your subscribers to share their goals and then spotlight them in your newsletters once they had hit those goals! Your favorite workout gear: Share the places you love to get all your cute workout gear from. You can share a Pinterest board where you collect all of your fab exercise gear finds or you can simply share where you get all of your gym clothes and why you love them so much! Your favorite places to workout outside of the gym: The gym is not the only place to get fit. Share tips on how to get a great workout in at home, or a list of your favorite places to get in a good sweat when you’re not feeling the gym! Weight loss or fitness challenge: A 21-day or 30-day challenge is always a great way to re-engage your subscribers and get them excited about your content again. Share your workout playlist: Gotta few music playlists that get you that extra boost you need to get through a tough workout. Put together a list of your favorite songs or motivational audios and share them with your peeps! They’ll love you for it! A personal letter to your readers: Every once in a while it’s a good idea to open up and remind people that there is a person behind the brand. It’s okay to share what’s going on in your personal life. It’s okay to share your struggles and successes as a person. Remember, the more you share of yourself the more your audience is going to connect with you. Give your audience a peek inside of your business: Give people a sneak peek of your workday. Maybe you are working with clients, shooting a video for an upcoming launch or working with your team on a new product. Share what goes on behind the scenes of your business to keep people engaged and curious about what you are going to do next! Weekly VIP Member of The Week (or Month): One of the best ways to keep your community engaged is to get them involved and make them feel like they are a part of your business. Each month you can highlight one subscriber that deserves some shine. It could be for work they are doing, a struggle they’ve overcome, a positive result they’ve accomplished, a contest they’ve won, or even the level of engagement they’ve shown in your facebook group or course community. What’s Working Now Newsletter: No one likes outdated information. A great way to establish yourself as an expert is to let your community know that you are always trying, testing and implementing new strategies in order to bring them the most up to date techniques. Share those strategies, give your opinion of what’s working and don’t be afraid to share stats and numbers. Give away branded stock photos: If you have a knack for creating amazing branded images or photos, why not share them with your community and encourage them to use them on their own social media platforms. Not only does it give them content to share, it helps you get more exposure. Create a 14-day or 30-day challenge: Whether it’s an Instagram challenge, a list-building challenge, or a weight loss challenge, invite people to commit to accomplishing a singular goal. This can be highly valuable to members of your community who are looking for some accountability. Bloggers (Blogs) We Love: You can do a weekly or monthly roundup of blog post articles or videos related to your niche. Don’t forget to add the links and ask your readers to reply with any blogs they love so you can feature them in your next roundup newsletter. What we’re Pinning: If you are hot on Pinterest, share the type of content you are pinning that is driving the most traffic back to your blog. You can do the same thing for Instagram and Facebook as well. Feedback Friday Newsletter: One on one coaching can cost an arm and a leg. Give your community an opportunity to pick your brain by having them submit a question and offering them free advice. It’s a great way to serve your audience and it also gives you an opportunity to suggest a course or resource that can give them the results they are looking for. Freebie Friday (or Tuesday or Wednesday…): If you have a new content upgrade or freebie you’ve just launched, make sure to share it with the subscribers you already have. Everyone loves free stuff and it keeps people hanging around -especially if your content is good! Your Favorite Five: Put together a list of your favorite influencers, Instagram accounts, Pinterest boards, recipes, products, blogs, brand strategies, etc. It’s a great way to get people to explore and take action. 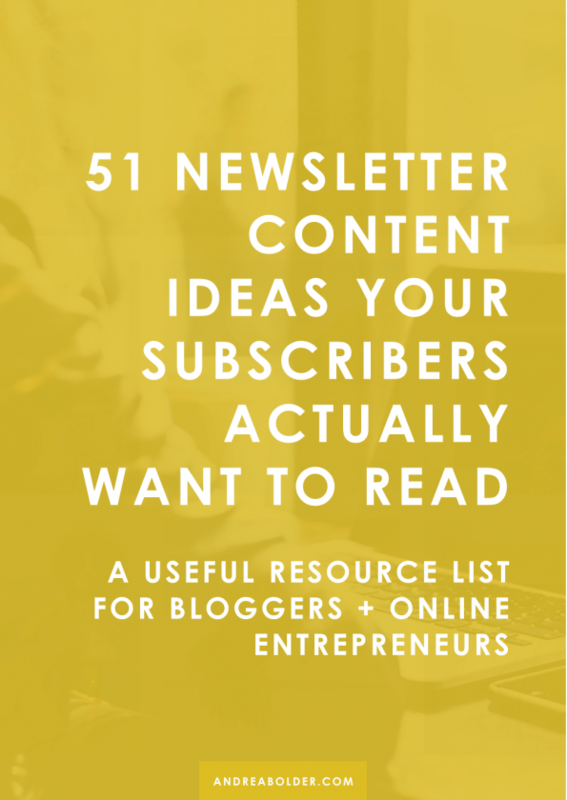 So there you have it, 51 newsletter content ideas that you can start trying out right now. If you find that you are getting a more email opens, activity or conversions with a certain type of newsletter, take note and make sure you do more of that. It’s all about finding what resonates most with your audience and giving them what they need so they stay responsive and engaged! Great list of ideas and very useful. Thanks for sharing. This is an AMAZING list of ideas! Definitely pinning, thanks for sharing! Awesome! This couldn’t have come at a better time. Love these ideas.